After several pages in last Thursday's Irish Times International Edition it was just back to one page on it's own in today's paper. 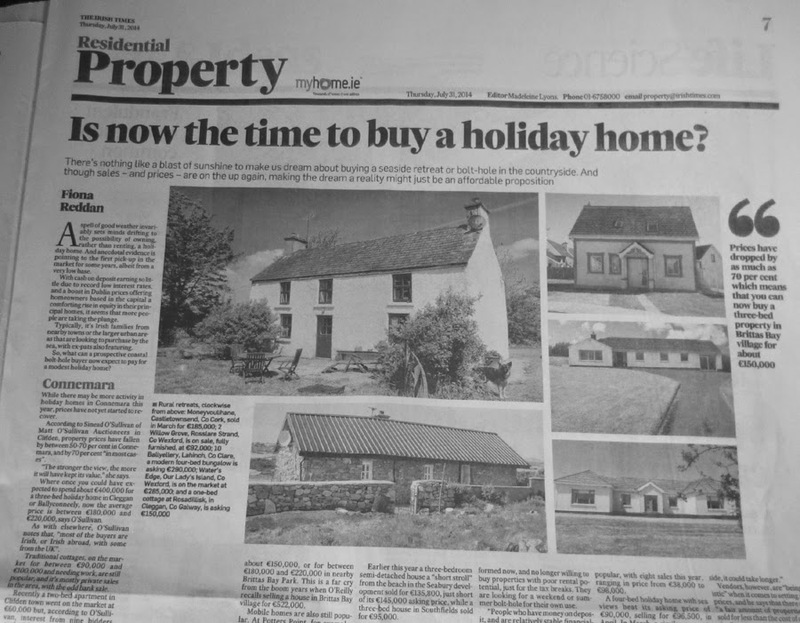 The headline being "Is now the time to buy a holiday home?". 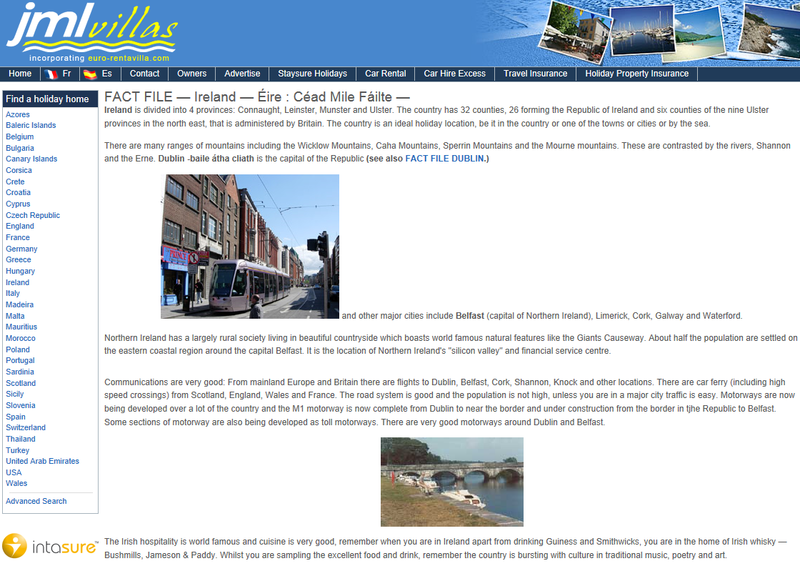 The article went onto explore various areas in Ireland that were popular for holiday home owners and at the moment, despite prices rising very well in areas like Dublin there appear to be plenty of bargains around. 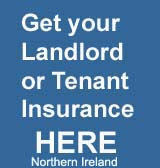 So you have bought a holiday home or your already own one and want it to earn its keep? On the subject of holiday homes and a little bit further east than Dublin, London England in fact - According to the UK Government's Communities Secretary - Eric Pickles, new measures will end rules preventing London residents from letting out their own homes on short lets. At the moment Londoners who want to rent out their home for less than three months have to apply for planning permission from their local council. The idea to change the rules is to benefit London's tourism industry by increasing the amount of accommodation available and giving home owners the opportunities to earn some cash when they have gone away. In another International holiday destination - Majorca, property prices have risen by sixteen per cent in the last twelve months. Chesterton Humberts have presented an overview of overseas property trends in its spring report. They say that "prices are rising faster on the Spanish island than in some of the prime central London boroughs of Kensington and Chelsea and Westminster".